Polycell Maximum Strength Wallpaper Adhesive can be used with any type of wallpaper and mixes quickly to a smooth wallpaper paste that is very easy to apply. It contains fungicide to protect against mould growth. This extra strong formula allows easy slide to match the patterns perfectly guaranteeing long lasting results. ‘Easy Slide’ formula for perfect pattern matching. The optimum consistency, no lumps. Hangs all types of wallpaper. Contain fungicide to protect against mould growth. Ready to use in 2 minutes. Pack sizeCovers 5 / 10 / 20 rolls (approximately) for each sachet. Tub hangs up to 5 rolls. Follow manufacturer’s instructions when hanging wallpaper. Cut wallpaper to required length. Measure out the quantity of cold water (dependent on the type of wallpaper you are hanging – see chart for details). Sprinkle the sachet contents into the water while stirring briskly for 20 seconds, leave to stand for 2 minutes. 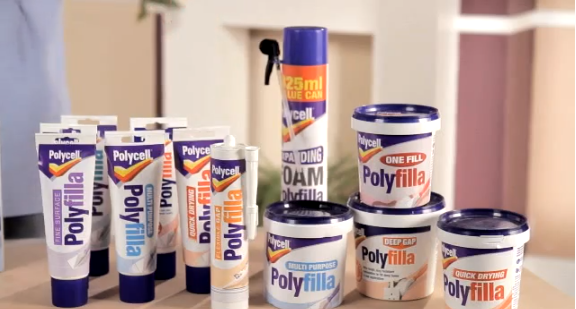 Apply the paste generously in an even layer to the back of the wallpaper using a pasting brush or roller. 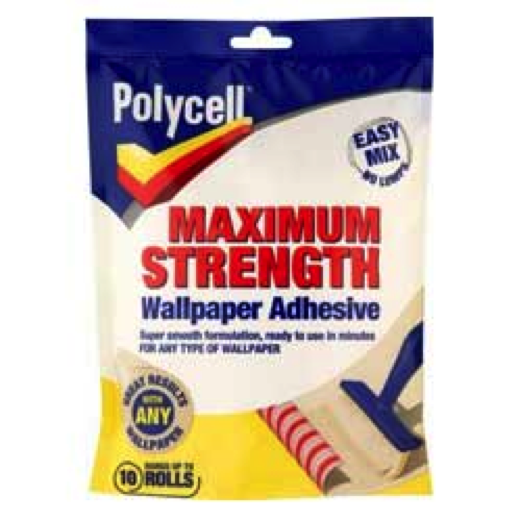 For best results apply the adhesive from the centre of the wallpaper to the edges. For heavy embossed wallpaper fold pasted side inwards and leave until supple. To prevent edge curl ensure all the edges are adequately pasted. Use a seam roller for a smooth finish. Wallpaper is now ready to hang. Take care to keep the decorative side of the wallpaper free of paste, wipe off excess adhesive immediately using a clean damp cloth or sponge to prevent staining.